Life, health, and disability insurance protect you, your body, your wellness, and your livelihood. This range of coverage includes some of the most essential protections. Too often, people ask the wrong questions. This leads them to draw the wrong conclusions about life, health, and disability insurance. As a result, many remain drastically underinsured or forgo the protection altogether. Without maximum life, health, and disability insurance, you leave the things that matter most, exposed to the highest risk. Asking how to save money on your life, health, and disability insurance is the wrong place to start. First, you want to best protect what’s most important to you. You get the maximum security and protection by securing the best possible, longest lasting, highest quality coverage. After you find the best coverage, then you can use smart shopping strategies to lower your costs. Here’s straight talk about how to get the best insurance and make every dollar you spend in premium count. In the last five articles, we’ve outlined an insurance philosophy and buying guide to put you in control. Why You Want Insurance Part 1 examined what insurance does. It transfers risk. Why You Want Insurance Part 2 discussed why it matters. It protects your greatest asset. Why You Want Insurance Part 3 covered the cost and answered why you should pay for insurance. It costs more to self-insure. 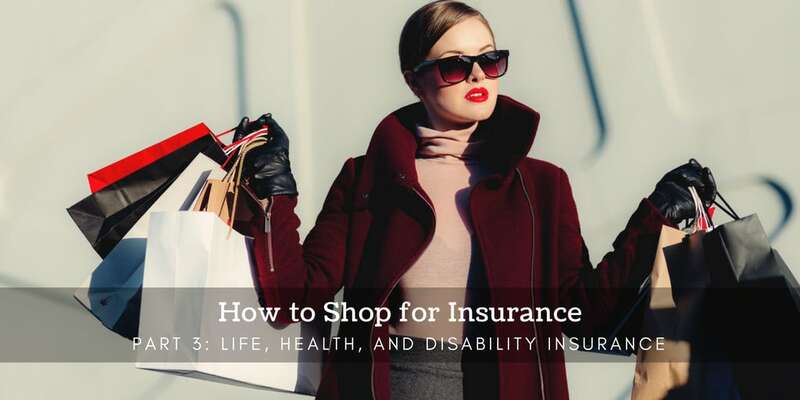 How to Shop for Insurance Part 1 outlined the seven tips to save the most money when shopping for insurance in general. How to Shop for Insurance Part 2 gave guidance on buying home, auto, and business insurance. Today, we’re capping off the series by focusing on life, disability, and health insurance. How do I best protect what matters most? How do I get the highest quality life, health, and disability insurance? Then, how do I save the most and spend the least on my life, health, and disability insurance? We’ll first walk you through understanding your coverages so you can feel protected and secure. Then we’ll give you the exact tips to get the most and best value life, health, and disability insurance for the least premium. You’ll gain confidence and peace of mind without giving up any more of your dollars than necessary. More importantly, no matter what happens in your life, your future self will be secure, protected, and grateful. You’ll be reassured that you made the best decisions in your power. Let’s zoom out for a moment to remember where and why insurance fits into your Cash Flow System. Your foundation starts with keeping more of the money you make. Second, you protect what you’ve built. Finally, you increase your income to create time and money freedom and expand your legacy. Insurance fits in the protection stage. With it, your livelihood is no longer at risk, but secure, regardless of the life circumstances you face. Your protection is like a roof on your financial house. When the shingles are sufficient and cover the whole house, it keeps storms outside your house, preventing them from getting inside and destroying your belongings. Similarly, when you have adequate insurance protection, your income and assets you’ve built are safe from financial storms that may occur in your life. Imagine drawing concentric circles around you to rank the importance of the things in your life. At the center, you might find your autonomy, contribution, sense of purpose, meaning and fulfillment. This also includes the physical and mental capabilities that give you the power to decide and act. In the next, you might find your loved ones and their sense of security, safety, love, and belonging. Journeying outward, you may finally locate your stuff, including your assets, property, and businesses. This layer holds everything you have produced and created. Whenever I ask people what insurance is most important, the list starts with auto insurance. Conceptually, it’s easier to think about replacing stuff than it is to think about replacing you. But if you lost everything, what would give you the strength to rebuild? It would be what’s closest to your center. That’s why protecting yourself at the core, the heart of your life is the most vital protection you can have. Life, health, and disability insurance protect the most central part of your life. Together, they secure your livelihood and your ability to produce, which is your human life value. Along with it, they protect your ability to create meaning, purpose, and fulfillment with your life. However, these insurances are often the most misunderstood and overlooked. Saving Money on Life, Health, and Disability Insurance: An Oxymoron? Because health, life, and disability insurance are discretionary, your full range of options extends from having no coverage at all, to having maximum protection. If your only priority was to save premium cost, you could just go without insurance, right? This reasoning works when you’re purchasing a swimming pool, a new boat, or a vacation. It appears that the best way to save money would be to forgo the purchase altogether. But with the insurance question, not having insurance can be much more expensive than having the insurance. Without health insurance, a life-threatening illness could bankrupt you. Without disability protection, you could find yourself in a situation where you are physically unable to work and lose your income, and possibly incurring costly medical bills at the same time. If you die without life insurance, your family will lose the income and assets you would have produced during your lifetime, adding financial stress to the devastation of grief. Without life, health, and disability insurance, you’ve chosen to self-insure. You would then have to be vigilant and prepared for how you would pay out of pocket if the need arose. This fearful mindset suppresses your creativity and limits your production. It also ties up dollars that could be used more productively. These are the opportunity costs of being uninsured. Remember, saving money is not often what you think. 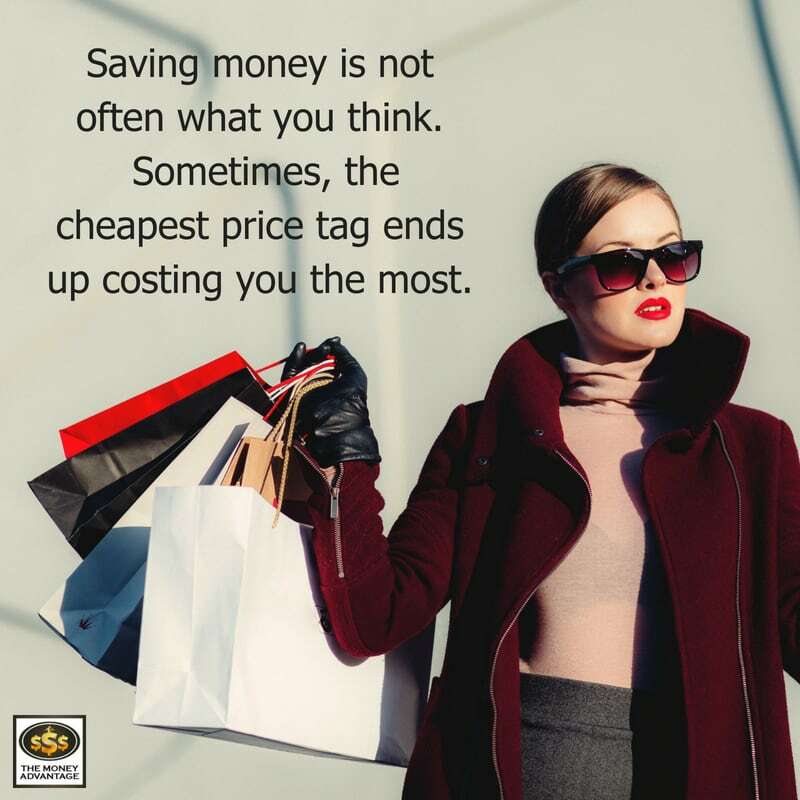 Sometimes, the cheapest price tag is misleading and ends up costing you more. Depending on the season of life you find yourself in when you read this, you have a propensity to respond differently. Most people who are young and healthy feel invincible. They tend to view death and disease as so far off, with only a sliver of a chance of occurring. After all, facing your mortality demands more courage than most would like to muster. As age deepens and we experience the frailty of our humanity, life, health, and disability insurance becomes more immediately relevant. But most in this season look back regretting they didn’t secure the protection when their age and health required a lower cost of insurance. When you play your chances and go uninsured, you may avoid the expense of protection right now. But you’re just prolonging, procrastinating, and delaying an eventual cost. Instead of saving money, delaying protection causes you to end up making one of the costliest mistakes of all: either having to pay more expensive rates or encountering the risk without protection at all. If you could predict when you’d encounter problems, you’d buy insurance the day before. However, none of us have the luxury of knowing exactly what tomorrow holds. The only way to know for certain that you’ll be insured when you need it is to secure it now. What we have all been given is the equal responsibility to make the wisest decisions possible today. How Much Life, Health, and Disability Insurance Do You Want? So, you’ve decided that forgoing life, health, and disability insurance is not an option, and you want to secure coverage today. Now you must decide how much insurance to get. If you’re asking how much insurance you need, this is again the wrong question to ask. The better question is to ask, how much insurance do you want? If you found yourself facing the unthinkable, you would want as much as possible. This is the only way to guarantee the best outcomes for you and your loved ones. If you were sick, you’d want to seek the best treatment without worrying whether it was too expensive. In the event of disability, you’d want as much guaranteed income as possible. If you died, you would want your loved ones to maintain the lifestyle you had wanted and not have to worry about money. Get as much insurance as you can get, and nothing less. Remember, the insurance company will never over insure you. They will only extend your contract as high as the full replacement cost, never above. When you’ve decided you want as much of the best coverage as possible right now, you’re ready to proceed with the rest of this article. If you’re not at that point in your decision-making, the rest of this conversation will not be meaningful to you, and you can stop reading now. Thank you for your time. 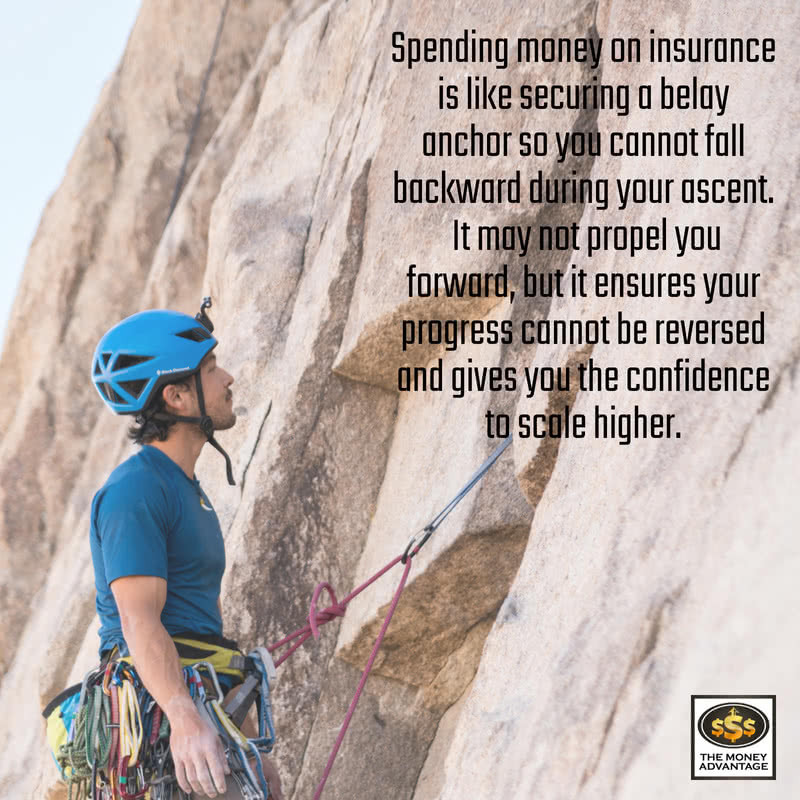 Spending money on insurance is like securing a belay anchor so you cannot fall backward during your rock-climbing ascent. It may not propel you forward, but it ensures your progress cannot be reversed and gives you the confidence to scale higher. Let’s take a closer look at how to get the most insurance and pay the most reasonable cost for it. Health insurance transfers your risk of paying out of pocket for medical expenses to the insurance company. Without health insurance, you are personally responsible for the full cost of medical bills your household incurs. With health insurance, today’s health plans cap your financial exposure, picking up the rest of the bill after you hit your max. If costs skyrocketed with an extended hospitalization, major surgery, or an expensive treatment protocol, the insurance company caps your financial exposure each year and pays the rest of the costs, no matter how high. But there are two agreements in each contract. On the other side of the insurance company’s agreement to pay for your healthcare, your premium is your cost for transferring that risk. And historically, now more than ever, that premium has grown. Before the Affordable Care Act (ACA) legislation, health insurance was medically underwritten. Older people and those with pre-existing conditions paid more for coverage when the insurance company’s cost of providing healthcare coverage was higher. Some people were declined for coverage when the risks were too high. In the current post-ACA environment, health insurance is guaranteed issue. Except for large groups, underwriting has vanished, meaning everyone in the same age bracket pays the same. As a result, the cost of health insurance premiums have been rising, often increasing by as much as 50% per year. This expense has seemed unbearable. For some families, health insurance has even rivaled a mortgage payment as the highest monthly household cost. Consequently, health insurance has become akin to a dirty word, drawing seething resentment. Families have considered going without health insurance, opting instead to pay fines for being without health insurance. The penalty for being uninsured will be removed in 2019, making health insurance again a discretionary decision. But it still makes financial sense to have health insurance, even if the premium is high and you rarely go to the doctor. Here’s the one reason to have health insurance: you transfer the risk of having to pay for catastrophic bills, should they occur. That buys you peace of mind that you’ll be financially ok, even with high medical costs. With health insurance, you’ll have two “brackets” or ranges of coverage. The first is your deductible. You pay your deductible before moving into the next bracket. The second range of coverage is your coinsurance. This is the amount where you split the bill with the insurance company. Your portion could range from 0% to around 50%. At the top of your coinsurance, you have an out-of-pocket maximum. This is the upper limit on your out-of-pocket costs. After reaching that dollar max, all other costs are covered by the insurance company. This limits you from paying for catastrophic emergencies. For instance, a plan with a $2,000 deductible, coinsurance of 20%, and an out-of-pocket maximum of $7,350, here’s how a $20,000 surgery bill would break down. You would pay the first $2,000 deductible, and that would be applied towards your out-of-pocket maximum. You’d pay 20% of the remaining bill until you reach the out-of-pocket max, another $3,600 in this case. Your total costs would be $5,600. Additionally, you may have copays built into your plan for office visits, prescriptions, or emergency room visits that limit the circumstances you’d pay your deductible. Other services like preventive care are covered 100% by the plan on current ACA plans. If you own a business with just one common-law employee, you can offer health insurance through your company. That’s good news because group insurance rates were significantly lower than individual insurance rates for comparable plans in 2018. You also get the added advantage of saving in taxes, because the premiums paid by the business are a deductible business expense. Due to the transience of health insurance laws, you’ll soon be able to have your business pay for health insurance, even if you are a sole proprietor. You, more than anyone, know your history and tendencies. Some people go to the doctor multiple times a year for colds and the flu. Some would instead use natural remedies and haven’t gone to the doctor in 10 years. If you’re regularly using coverage because of regular specialist visits, or have a condition that requires management, you’ll be more likely to use doctor visits and prescriptions. You may feel more comfortable having a set dollar amount like $25 or $50 for these services, so you know your costs in advance. Be prepared that for additional testing, you will pay in addition to your visit copay. But having these guarantees built into your plan costs more premium dollars. You’re essentially pre-paying for your healthcare, whether or not you end up using it. If you weigh the costs, you may save money by opting for a plan that has all of your costs, including office visits, going towards the deductible. While an office visit will cost you more on this plan, your premiums will be lower. You’ll only pay for that office visit when you go to the doctor. If all of your visits go towards your deductible, you’re paying out-of-pocket for the small stuff and leaving your insurance to handle the catastrophic. Your premium dollars are a guaranteed expense. Hitting your out-of-pocket max is something that only happens if you have significant medical bills. Consider both when making your decision, knowing that worst case, you’ll have both expenses. This is especially necessary when planning major surgery or the birth of a baby, although the situation could arise anytime. The first dollars of coverage are the most likely to be used, so they’re the most expensive to cover. A deductible lets you buy back this coverage. The higher the deductible, the lower the monthly cost of premiums. Raising your deductible will save you monthly cost, but make sure you have cash in reserves to pay if needed. Health Savings Accounts give you the ability to save tax-free for future medical expenses. The plans attached usually save you in monthly premium. These dollars can only be used for medical expenses, so if you’ve saved enough for your out-of-pocket max, consider continuing your savings in other, more efficient vehicles to store cash. A PPO allows you to have coverage for in-network and out-of-network doctors, while an HMO only covers doctors that are in-network. Some carriers have select plans that have an even tighter network. Before choosing this option, make sure doctors and prescriptions you can’t part with are covered. If you were in an emergency situation, any care you receive is usually considered in-network. Alternatives to health insurance, like medical cost sharing plans, offer attractive benefits at a fraction of the premiums. However, be aware that these plans are not health insurance. You may not have any coverage for pre-existing conditions, and healthcare may or may not be covered, depending on your qualification and the agreement you can reach with the doctor. Since the initiation of subsidized health insurance through Healthcare.gov, some people qualify to receive a reduction of premium through a tax credit. Qualification is based on estimated income. However, as a business owner, shrinking your income by writing off everything in business expenses has downsides too. You may not show enough income to qualify for a new home mortgage or business loan you wanted. Besides, no one shrinks their way to wealth. Disability insurance could more accurately be called income protection. It provides income to you if you couldn’t work, due to a disabling injury or illness. It guarantees that your income will continue, even if you become physically incapable of working to earn it. This provides tremendous security and confidence for your future, knowing that not even physical limitations can rob you of all your working income. Disability is far more common than our optimism would like to contemplate. For instance, debilitating sciatica may prevent a builder from sitting, walking, driving, lifting, or bending. A neurosurgeon might have to stop performing surgery if they encountered vision loss, neuropathy, or tremors. WebMD lists arthritis, back pain, heart disease or stroke, cancer, mental health problems, and diabetes among the leading causes of disability. When you’re unable to work, and without income, it’s usually not covered by worker’s compensation or Social Security. Most people have to find a way to handle this income loss personally. Disability income protection transfers the risk of being without income to an insurance company that will pay you monthly benefits if you become disabled. 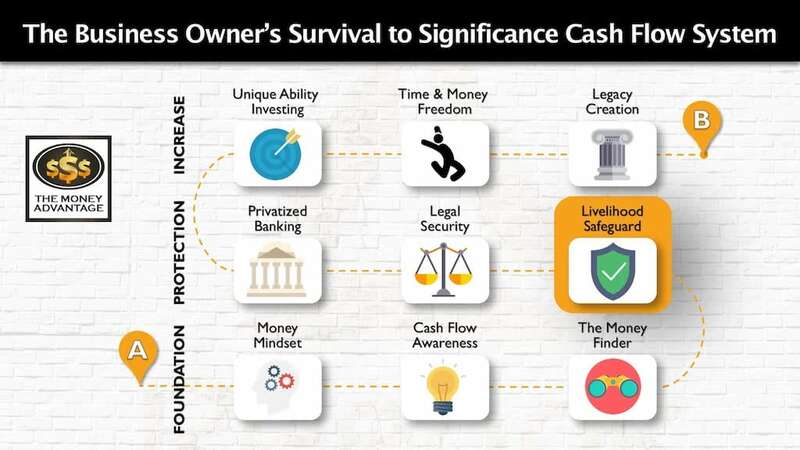 This protects your cash flow at the source. Lost income from a disability has extended repercussions beyond the welfare of you and your family. Your business may suffer as well. The guaranteed income stream mitigates these ripple effects of lost income. It ensures your household has the income to maintain your standard of living and pay for the cost of potentially-needed care. Disability protection can pay out your business overhead expenses like employee salaries, rent, and operational expenses to keep the business from going under during a disability. It can provide compensation for a buy-sell agreement and buyout coverage if a business partner becomes disabled. 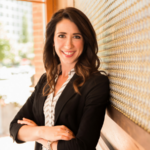 I often get asked by business owners and real estate investors who have built a stream of income from assets and do not depend on a job as their source of income, whether disability insurance is still relevant to them. The answer is yes! Disability income protection is still relevant, even if your physical faculties are not needed in your business. Here’s why: you’ll have at least some guaranteed income at a time when you’ll want all you can get. If you own a business, including a cash-flowing real estate portfolio, you’re paying yourself a reasonable salary as W-2 income. This is the income stream that disability insurance would replace. If the business is dependent on you in any way, including strategic decision-making, the business has the potential to lose revenue as a result of your disability. Even if you’ve built a 100% self-sustaining business and continue receiving an income whether or not you show up to work, things will become more difficult with a disability. You may no longer be able to provide the leadership, vision, and oversight you do now that allows your business to grow and scale. How much money do I get? How long does it pay out? Most disability policies will pay out up to 60% of your income in the event of a disability. Because your premiums are paid with after-tax dollars, your disability income is tax-free. One key differentiator in determining the circumstances in which a disability policy will pay income has to do with the definition of disability. True own-occupation coverage will consider you as disabled if you are unable to work in your field of specialty, even if you can find other work. This is the most robust definition. A disabled neurosurgeon who could still work in a lower-paying administrative position can work in the other role and still receive disability compensation. Disability covering you for any occupation will only pay out if you are unable to work in any career. The neurosurgeon in the prior example would not receive disability pay. Long-term disability policies are available with differing payout lengths, with options for specified timeframe like 2 or 5 years, or to a specified age like 65 or 67. Various riders improve the experience. Cost of living adjustments provide an increasing benefit that adjusts for inflation. Future increase riders allow you to buy more insurance as your income increases, without requiring medical proof of insurability. Residual income riders provide a partial benefit if you can work, but not full-time. These riders can maximize your income during a time of crisis, substantially increasing your quality of life. Your elimination period is the time that lapses between getting approval for your disability claim and receiving the first check. The time frame typically ranges from 30 days to 1 year. Increasing your elimination period reduces your premium because it lessens the payout of the insurance company. Build emergency savings first. Similar to raising a deductible, you should only consider a longer elimination period if you have sufficient cash reserves to pay monthly expenses for that duration. The sweet spot is usually 90 days, but you could stretch it further if you have savings to cover it. Don’t buy disability insurance just to run the risk of not being covered if you can still work a different job. Get true own-occupation coverage if it is available for your line of work. Group disability insurance usually isn’t portable, meaning that if your employment is terminated for any reason, you’ll find yourself without disability protection. Own your disability insurance personally to guarantee you’ll have the coverage if the need arises. In the event of a disability, you’ll want all the income you can get, for as long as you can get it. Buy only from a reputable, highly-rated company. Secure as high a benefit amount as you are able and extend the payout as long as possible. And we highly recommend maximizing the cost of living, future increase, and residual income riders as well. If you never need to use the policy, you still secured the peace of mind in the meantime. We’ve arrived at what I believe is the most important discussion of your financial life. Life insurance is the cornerstone of a sound personal economy, securing and providing guarantees that no other financial tool can compare to. It transfers the risk of losing future income and assets when you die. It automatically creates the income you won’t earn and the assets you won’t build because of your death. Every other insurance covers a potential adverse life event. But life insurance covers a guaranteed life event. While it may seem morbid to talk about death, it’s a guaranteed event that will happen to all of us at some point. It’s just a matter of when. Many people see life insurance as a tool to make sure your spouse can bury you and pay off the house if you die early. But the crux of life insurance is that it insures your full Human Life Value for your whole life long. Regardless of when your life on this side of eternity comes to an end, you want coverage to be in force at that time. Life insurance is the ultimate anchor to ensure your loved ones don’t go into financial reverse during the most emotionally distraught days of their life. It’s the greatest material gift you can give others who mourn your loss. If your family is dependent on your income at the time of your passing, it can make sure the bills are paid, and provide a home or college education for your children. It takes over for you and fills up your assets and net worth to what you would have built, had you lived out your whole life. Life insurance benefits make possible the lifestyle you dreamed of for your family, even if you aren’t there with them. It allows your spouse to make future relationship decisions for love, not out of financial desperation. If your family is mature and no longer dependent on your provision, it can provide the permission to use up your other assets during your life. You know that life insurance will be there as an ideal wealth transfer tool to leave a legacy. 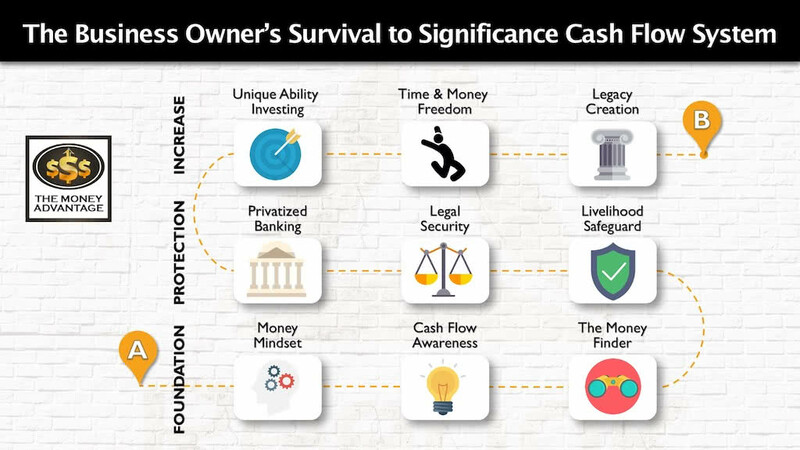 If structured properly, it can also provide a stable place to save, and get guaranteed growth of cash you can use during your lifetime for emergencies and opportunities. It provides you options at every life stage, giving you the best possible outcomes in the widest range of circumstances. There are two types of life insurance that we recommend, at opposite ends of the spectrum. While there are many other products in between (you may have heard of variable, universal, equity-indexed products, etc. ), we’ll leave them off the table in this discussion, because they lack the guarantees we seek. Over an agreed-upon timeframe – usually 10, 20, or 30 years – you pay your premium, and the insurance company agrees to pay the death benefit. Term life insurance is often thought to be the lowest-cost life insurance you can get. While at first, that sounds like great news to the frugal spender, there’s more to the story. Term life insurance can end up costing you the most in the long run. If you die during the term, your policy pays out. However, if you’re still alive at the end of the policy expiration date, your family gets nothing. There’s no death benefit, and you don’t recover your premiums paid in. Whether you die an hour, a month, or a year after your policy expires, there’s nothing to show for it. Thankfully, your chances of living during the term are far higher than your chances of dying. But, that also means you’re less likely to receive the death benefit. According to the Social Security Administration, of today’s 40-year-olds, 79.3% of men and 85.5% of women will live past age 70. That means for the 40-year-old purchasing a 30-year term policy today, there’s only about a 15 – 20% chance of “using” the policy and having it pay out. If you couldn’t pay your term insurance premiums, you would need to cancel your policy, and you’d receive nothing to show for the premiums you’d paid in. In fact, the consensus among life insurers is that under 5%, and likely closer to 1%, of term policies pay out a death claim. This means that close to 99 out of 100 term life insurance policies become purely a cost to the owner of the policy because they did not receive anything for their payments. Financially, living longer than your life insurance means the life insurance was just an expense. It gave you temporary peace of mind while you had the policy that just in case something happened to you, your family would be ok. But it isn’t a good long-term solution to ensure your benefits will be there when you die. If you want to have anything to show for a term policy you outlived, you would need to renew your policy. But term insurance is more expensive the later your purchase it. The insurance company sets policy rates based on their likelihood of paying out claims. They calculate this probability based on actuarial data, with complex algorithms to determine rates according to the increased risks of age and health status. The higher risk to them, the higher premium they’ll require for the policy. If you were to imagine your chances of dying at every year of your life, it would be a curve that increases over time. Consequently, the cost of insuring your life increases the longer you live. In the early years, the term policy costs are relatively low, because mortality rates are low. However, starting or renewing a policy at a later age costs much more, because you’re that much closer to the end of your life expectancy. This is why most people who approach the end of a term policy and consider their option to renew, find that the cost to maintain their same death benefit has risen easily two to ten times the previous policy’s premium. In fact, a person who continues renewing a term policy throughout a long lifetime could easily pay more in total premium than they receive in death benefit. For example, a 20-year term policy for $180K on a 53-year-old man in good health was quoted at $100/month ($1,200/year). The policy illustration showed that the renewal rate at age 73, at the expiration of the initial 20 years, went up to $1,000/month ($12,000/year). At this point, a new term insurance policy would no longer be available to him, and he would have to pay the premiums for an annually-renewable term. Within 9 more years, he would have paid nearly $202K in cumulative premium for a $180K benefit. Death’s likelihood is later. Term life bets it will come sooner. Betting against death in your younger years may feel financially savvy at the moment because of low premiums, but you may be stuck with few options as you age. Most people who buy term life insurance insure for “just in case” find that their policies become cost-prohibitive at renewal. They often then cancel their coverage at the time they’re more likely to die, leaving them uninsured at the time of the highest risk. At the other end of the spectrum, there’s whole life insurance. It’s pure life insurance that lasts your whole life, is guaranteed to pay out, and has added benefits to use while you’re alive. No matter when you die, you’ll receive the death benefit, as long as you’ve kept the policy in force. Contrasted with term insurance, whole life continues for your entire life, which, as determined by the current Commissioners’ Standard Ordinary [CSO] mortality tables, is age 121. If you live that long, the policy will mature, meaning the cash value in the policy will equal the death benefit, and if you are still living, the insurance company will endow, paying out the full policy value to you at that point. As long as you keep the policy in force, you’ll always get more out in death benefit than you paid in cumulative premium. Financially, this makes whole life more valuable to you. It’s not just a cost, because you’re guaranteed to get out more than you put in. Whole life is not just death insurance that pays out when you die. It’s truly life insurance that gives you benefits during your lifetime as well. In addition to the premium that you pay in and the death benefit the policy pays out, whole life has the extra component of cash value. This is a portion of your death benefit that’s available for you to access and use during your lifetime. While you’re alive, your premiums build up cash value in the policy, similar to equity in a home. You can borrow against it with a guaranteed loan option, replenish it, and re-use it. This guaranteed liquidity serves you well whenever you need cash for emergencies or opportunities. If designed properly, you can accelerate your early cash value, while also maximizing your long-term growth. 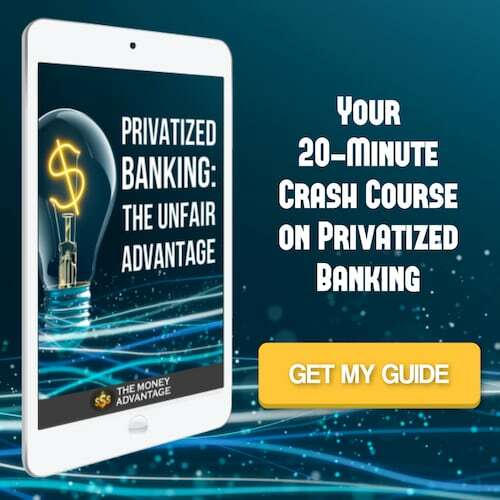 It’s an ideal tool to use as your own privatized banking system to ensure use and control of your money and earn uninterrupted compound interest. Whole life insurance bakes in guarantees. You have a guaranteed premium, which guarantees a death benefit, and a minimum guaranteed cash value. In addition to growing with guaranteed interest, the cash value in a mutual policy will also grow due to non-guaranteed dividends. 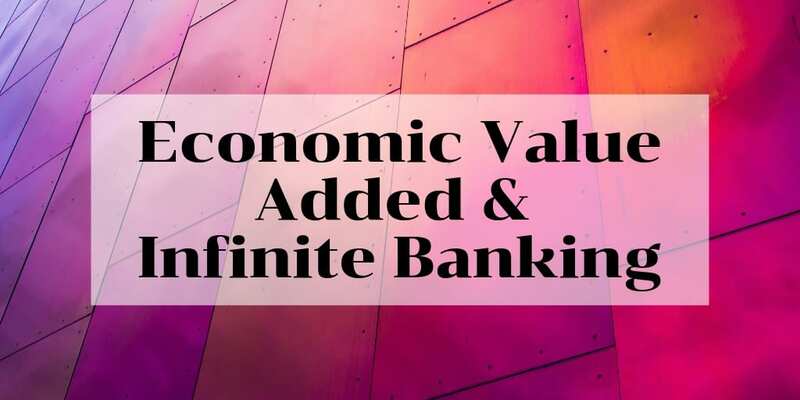 Once the dividends are declared for a particular year, they become a part of the guaranteed cash value, and the cash value never reduces below that point in the future. Over time, the death benefit of a whole life policy also increases. If you couldn’t or didn’t want to pay your whole life insurance premiums, you have options. You could pay from policy values, reduce your premium, reduced pay up, or surrender a policy. In any case, after your initial break-even point, you’d always receive more than you paid in. Is Whole Life More Expensive? Many people comparing term and whole life insurance rates for the same death benefit think whole life seems expensive. But is it really? Yes, it starts out as a higher price point, but that’s because the insurance company is considering that their likelihood of paying the death claim is 100%. It takes your cost of insurance over each year of your whole life and averages it annually to get a level premium. From your perspective, the amount you pay in will always give you something. It’s different than the term insurance premium that you pay and potentially receive nothing for. If you consider the return on investment of the death benefit or the cash value in a whole life policy, you’ll find it to be a wise financial choice. Many people think that cheaper is better, but they fail to compare equivalent products. If you want to save money on life insurance, then understanding the coverage is more important than analyzing the cost. Getting only term coverage because it’s cheaper now will likely be more expensive in the long run, because it will likely result in 100% cost. Term life has no living benefits at all. While term premiums are lower, they are usually an expense. You cannot use the policy at all while you are living. The only benefit is the death benefit paid out to your heirs when you die if you die during the term of the policy. Whole life premiums, while higher, can be thought of as savings. Find a comfortable amount you can save each month and consider using that cash flow to fund a whole life policy. Weight your life insurance strategy towards as much whole life insurance as you can get to maximize the living benefits and guarantee your death benefit will pay out, no matter when you die. With whole life, you’ll also minimize your costs over your lifetime. However, if you only look at life insurance as a place to store cash, and forget about insuring your full human life value, you’ll lose the opportunity to ensure that your family is taken care of in the event of a personal tragedy. Most people cannot afford to buy their entire human life value in whole life insurance. For whole life insurance per the amount of death benefit, you will pay more in premium. For instance, for the same initial death benefit amount, it could be the difference of putting $2,000 into a whole life policy or $100 into a term policy. If cash flow is tight in the beginning, the best solution is using both term and whole life insurance together. Term insurance allows you to fill the gap between your whole life insurance death benefit and your human life value. The goal is to have a hybrid plan with whole life insurance as your place to store cash, where your primary dollars are going into your account of safe, liquid, growing, guaranteed money. Then, supplement with as much term life insurance to make up your total human life value. For example, this may look like having a $300,000 whole life policy and another $1.7 million term policy to insure a human life value of $2 Million. Ideally, you want to make sure your family is covered for your full human life value, and also ensure you have the greatest asset to store cash. At some point in your life, whether you receive an inheritance, lump sum of money, or an increase in income, you want the ability to convert portions or all of a term life policy into another whole life policy. If you’re using term life insurance, pay to make it convertible. This gives you the option to convert all or a portion of your term policy to whole life at any time during the term, without going through underwriting again. This means that even if you’ve acquired some health concerns as you’ve aged, you will still receive your initial underwriting level on any converted policies. This goes without saying. The younger and healthier you are when you secure your life insurance, the lower rates you lock in for the rest of your life. Additionally, compound growth is most valuable the longer it works. The sooner you start a whole life policy, the quicker it starts earning interest, the sooner you can use it for emergencies and opportunities, and the more potential it has to grow. Act now, when death is the furthest thing from your reality. You and your family will be tremendously grateful when it finally does become your reality. Life, health, and disability insurance protect you, your family, your peace of mind, your health, your income, and your livelihood. Don’t start with asking how you can save money with these coverages and rationalizing the minimum you need. Get as much as you can qualify for. Build savings to have the ability to pay higher deductibles on health insurance and or increase your elimination period on your disability insurance. Start as soon as you can to build the longest, most enduring coverage possible. The longer-term your plan works, the more secure it will be. If you’d like personal guidance to see how you can get the best quality, highest value insurance, we’d love to help you. To do this, we need to understand your full financial picture to provide personalized recommendations. 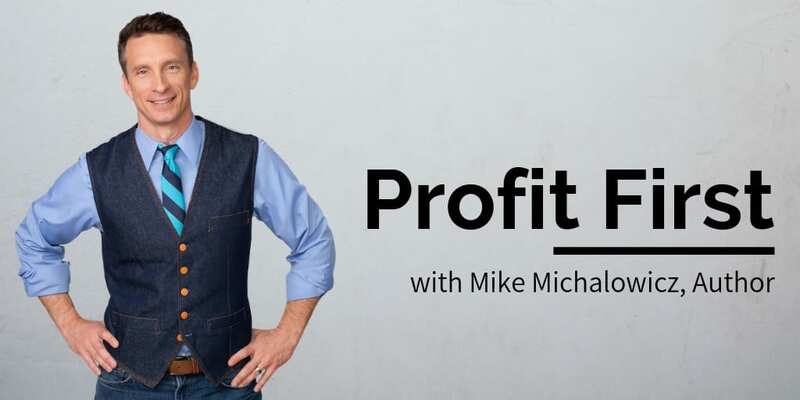 ﻿Book a strategy call to find out the one thing you should be doing today to optimize your personal economy and accelerate time and money freedom.